The budget was mainly focused on the welfare of the middle class and farmers. There were some significant direct tax reforms announced such as a full tax rebate for a taxable income up to Rs 5 lakh and other provisions like a higher TDS threshold for interest on saving products, standard deduction up to Rs 50,000, no tax on notional rent from second house, capital gain exemption extended to two houses. The above measures would increase overall disposable income and should boost the consumption and investment story in India. We expect the increase in savings to get channelised into financial markets (via SIPs, small savings schemes) and a higher spend on consumer durables, FMCG, automobiles, farm equipment leading to a higher growth, financial literacy and its penetration. Introduction of a mega pension plan providing Rs 3,000 per month for unorganised workers will bring a large population under the ambit of pension security with minimal contribution. So overall, it was a budget to benefit the masses (mainly three crore salaried, 10 crore workers and 12 crore small and marginal farmers) with an eye on the upcoming elections. ~ Vijay Kuppa, Co–founder, Orowealth. The finance minister did what was the need of the hour by encouraging MSMEs and women entrepreneurs in boosting the economy. The increase in basic exemption limit to Rs 5,00,000 will stimulate additional investments and disposable income resulting in more investment power. I also feel tax breaks for women returning to the workforce will prove to be a push in the right direction. Celebrating women and giving them equal and better opportunities in the upcoming budgets will be a positive big contributor to grow the Indian economy. The Interim Budget for financial year (FY) 2020 aims at a fine balance between the upliftment of the rural economy as well as incentivising the high spending urban middle class. The budgetary provisions for India’s rising middle class is expected to stimulate demand and help attain the targeted economic growth. Budgetary outlays aimed at the real estate sector are encouraging for the sector. Benefits like rolling over capital gains tax to two homes and exempting income taxes on imputed rent for the second occupied home would stir up home demand especially in the affordable segment. Additionally, the real estate developers would be benefited by the extension of the exemption period for levying tax on unsold inventories at a time when the sector is undergoing liquidity stress. Also, we expect a favorable decision from the GST council overseeing ways of normalising the tax’s impact on developers as well as end consumers. The government’s commitment towards managing the fiscal deficit as well as its debt is noteworthy. Despite the relaxations in direct taxes, the budget expects tax revenues to grow by 13.5 per cent in FY2020 compared to FY2019 with government’s borrowing growing marginally by 10 per cent compared to last year. We expect both equity and debt markets to react positively to government’s commitment towards the fiscal glide path with bond yields on a downward trend this year. This budget has not caused any major disappointment; also it being interim in nature, we can safely park any questions on missed opportunities. 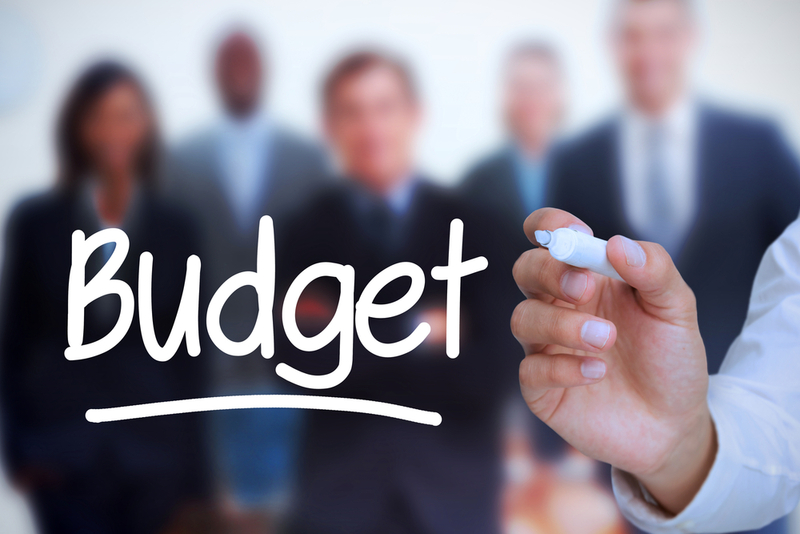 To be honest, the budget presented today might have exceeded the expectations of many market analysts and evaluators. The allocation towards alleviating farm distress at Rs75,000 crore per annum is much less than expected, transfer expected from RBI is also not unusually high. The push to consumption by way of sops to farmers and middle class families has resulted in buying in auto and FMCG stocks. GST collections growth at 18.3 per cent may seem a bit aggressive, while net borrowings remaining flat at Rs.4.48 lakh crore in FY2020 may also be challenging given the risks due to slowdown fears. The markets will over the next few days take their own trajectory after this small time window of anticipation of and reaction to the budget. The disposable income of EWS and LIG category borrower will increase with the exemption of tax on annual earnings up to Rs 5 lakh and also increase in standard deduction by Rs 10,000. The developers for new projects are also incentivise with the Income Tax exemption available till 2020 thereby keeping the prices in check. The housing demand will witness good uptick with measures like no income tax on notional rent on second self occupied home and also capital gains benefit allowed on second houses in select cases. In a very welcome move, the finance minister reduced tax out go to zero for those with income up to Rs 5 lakh. Those with income up to Rs 5 lakh will not pay any tax. However, this is not an increase in minimum exemption limit, which stays at Rs 2.5 lakh. Those with income exceeding Rs 5 lakh will pay tax on income between Rs 2.5 lakh-5 lakh at the rate 5 per cent as before. Taxpayers with total income not in excess of Rs 5 lakh will be offered rebate of zero tax via section 87A. The Rs 5 lakh tax rebate under section 87A may be challenging to implement. Most taxpayers can claim this rebate while filing their tax return, since only at the time of filing their tax return, they will know exactly how much total income they have earned and the section 80 deductions they are actually claiming to become eligible for this rebate. What the salaried will rejoice is the increase in standard deduction from Rs 40,000 to Rs 50,000. This is also applicable to pensioners. Individuals can now own two properties and not pay tax on notional rent on the second house, as was the case earlier. This will benefit a large number of home owners who have two houses, and will give some boost to the real estate sector. However, if the second house is rented, such rental income continues to be taxable. While TDS limit for interest earned from bank deposits is raised to Rs 40,000, such interest is still taxable and taxpayers will have to ensure timely submission of Form 15G to prevent TDS deduction if their total income is below taxable limit. From earlier restriction of one house property allowed to be purchased against sale of one, an individual can now purchase two houses, where capital gains is within Rs 2 crore. Allowed only once in a lifetime, this is a welcome move for those who want to split their capital gains investment into buying two properties. I congratulate the Finance Minister for delivering a growth-oriented budget benefitting various sections of the society and stating out the vision to make India a $ 10 trillion economy, a daring and laudable move. Adherence to fiscal prudence despite providing benefits to the middle class, farmers, and the unorganised sector will boost consumption, improve social security and ultimately revitalise the Indian economy, which bodes well for the capital markets as well. The interim budget of 2019-2020 provides a meaningful tax relief to the middle class segment of the society leading to higher disposable income and potentially higher per capita savings. Enhancing gratuity to 30 lakh shall increase the demand for employer-employee group term business to protect future service gratuity liability. Digitisation via opening of more common service centers and plan to digitise one lakh villages in next year may help to reduce the cost of distribution of financial services products in rural market. This is a progressive budget that has the potential to usher the country into a new phase of development and growth. The ‘New India Budget’ as we would like to call it, is expected to boost the real estate sector and keep up the pace of development achieved in 2018. This budget is clearly focused on both homebuyers and developers with unsold inventory, and addresses some of the key pain points of the sector. For affordable housing projects, the benefit under the provisions of Section 80IB-A (100 per cent deduction on gains from these projects) has been extended for one more year, until 2020. The tax relief on notional rent from unsold stock has been extended to two years. For buyers, no tax on notional rent on second self-occupied home, no TDS on rental income up to 2.4 lakh per year and capital gain exemption under Section 54 of Income Tax Act to be available on two house properties, (up to Rs 2 crore) once in a lifetime, will prove to be a big impetus for the sector. Additionally, the general exemption of income tax up to INR 5 lakh that will benefit three crore tax payers is likely to increase the demand for affordable and mid-income housing segments. Also, the strong signal of rationalization of GST in the near future also augers well for the sector. With these measures bearing fruit in the medium to longer term, we foresee a rise in housing demand in 2019. To industry at large, the budget remained a non-event; there is no clarity over stamp duty reform or the rationalization of STT. These two were the demands from the stock market at large. Exemption for income tax for the Rs 5 lakh income basket is a welcome reform; this could put more money in the hands of the middle class, and aid the consumer and services industry at large.